100 years of service is an accomplishment worth celebrating. 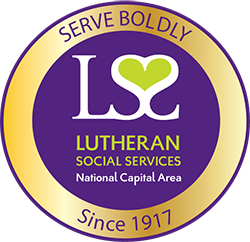 As we close out our centennial year, LSS/NCA will gather in February 2018 with our extended family of supporters and volunteers, staff members and parishioners, neighbors and friends for a celebration of our past and our future. Together we will set the stage for the next 100 years of LSS/NCA welcoming, loving and serving boldly. Bookmark this page and visit again soon for updated event details and registration information.